A BITTERS is traditionally an alcoholic preparation flavored with botanical matter such that the end result is characterized by a bitter or bittersweet flavor. Numerous longstanding brands of bitters were originally developed as patent medicines, but are now sold as digestifs and cocktail flavorings. The botanical ingredients used in preparing bitters have historically consisted of aromatic herbs, bark, roots, and/or fruit for their flavour and medicinal properties, some of the more commonly used ones which have included cascarilla, cassia, gentian, orange peel, and cinchona bark. Most bitters contain both water and alcohol, the latter of which functions as a solvent for botanical extracts as well as a preservative. The alcoholic strength of bitters varies widely across different brands and styles. LIST OF DIGESTIVE BITTERS - Wikipedia. ANGOSTURA - The House of Angostura (also known as Angostura Limited) is a Trinidad and Tobago company famous for the production of angostura bitters, invented by the company's founder. BECHEROVKA - made in Karlovy Vary: flavored with anise seed, cinnamon, and approximately 32 other herbs. Its alcohol content is 38% ABV (76 proof). FERNET BRANCA - since 1845. Italian 40% ABV digestif aromatic bitter made from of over 40 herbs and spices, including myrrh, rhubarb, chamomile, cardamom and saffron, with a base of grape alcohol. GAMMEL DANSK BITTER DRAM - since 1964. Bitters liquor and was originally created to become a competitor on the Danish market to other bitters such as Underberg and Fernet Branca. It is matured with 29 types of herbs, spices and even flowers. These herbs and spices include angelica, star anise, nutmeg, anise, ginger, laurel, gentian, Seville orange and cinnamon, and several others. 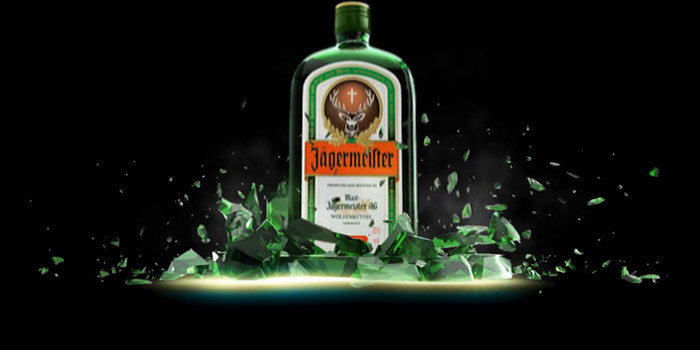 JÄGERMEISTER - since 1935. German 70-proof (35% abv) digestif made with 56 different herbs and spices. Peychauds Aromatic Cocktail Bitters: 5 oz - since 1830. Gentian-based bitters, comparable to Angostura bitters, but with a lighter body, sweeter taste and more floral aroma. UNDERBERG - since 1846. German digestif bitter made of aromatic herbs from 43 countries. The exact number and identity of the herbs remain a well-guarded secret.